Great album! Love the new versions and new songs. This album has sounds from past great albums like Petroglyph and would love to hear Tim remake Bonehenge one of my favorite songs! This album is hitting me right in the feelers. The Left Hand of Darkness followed by Was it Just a Dream is absolutely wonderful. The rest of the album is similarly powerful stuff. Congratulations to all involved in this. It must be amazing to create something that touches people so beautifully. I've been listening to TR3 for nearly 15 years, so when I heard a new album was out, I went to investigate straight away. Needless to say, this album immediately rocketed to a very small list of my favorite albums of all time. 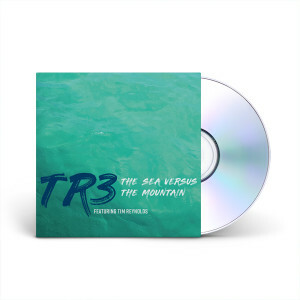 It's sophisticated, accessible, imminently tasteful, and it has all of the feel of a TR3 record with some new and beautiful flavors. "Was it Just a Dream?" is my favorite track, with "Bone to Pick" as a close second. In listening, and as a musician, i believe this record may have changed my own musical direction, and probably permanently. Absolutely beautiful work.